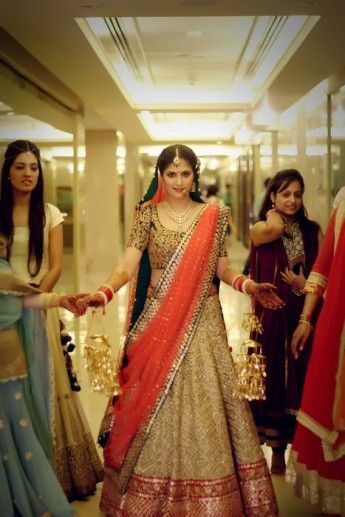 How to wear the double dupatta’s in style is always a question amongst the bride. Here we decode few styles and drapes which can be chosen by the brides for their wedding day. 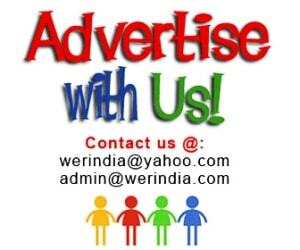 Front drape Dupatta– Drape one dupatta around the neck like a normal dupatta and pin it up on the shoulders. Now drape the other one around the head like a veil. We had already discussed about different types of veils in our previous article. Drape it like a saree– This one is the most elegant and one of the most gorgeous styles to follow. 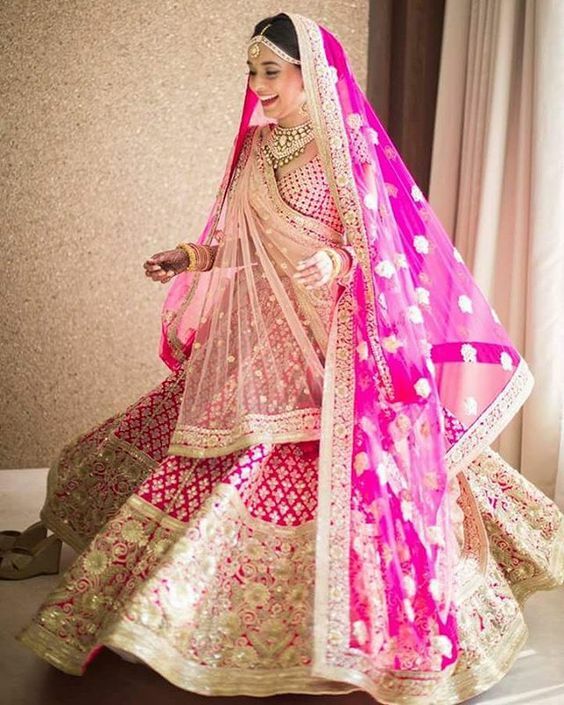 If you want both the dupatta’s to be highly visible, then this style is for you. 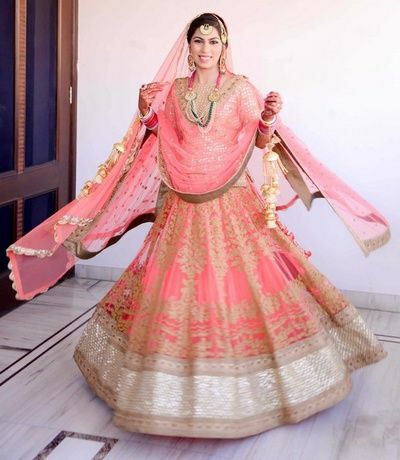 You get maximum area to drape both the dupatta’s, so that they are visually appealing and seen. Take the heavy dupatta like a saree drape, tying it at the side or back waist and bringing it at the shoulders from back of the waist. Tuck it nicely at the shoulder and let the remaining dupatta fall freely at the back. The second and the lighter dupatta can be just worn to cover the head. Front drape with head dupatta– A good style to be worn with long choli’s. 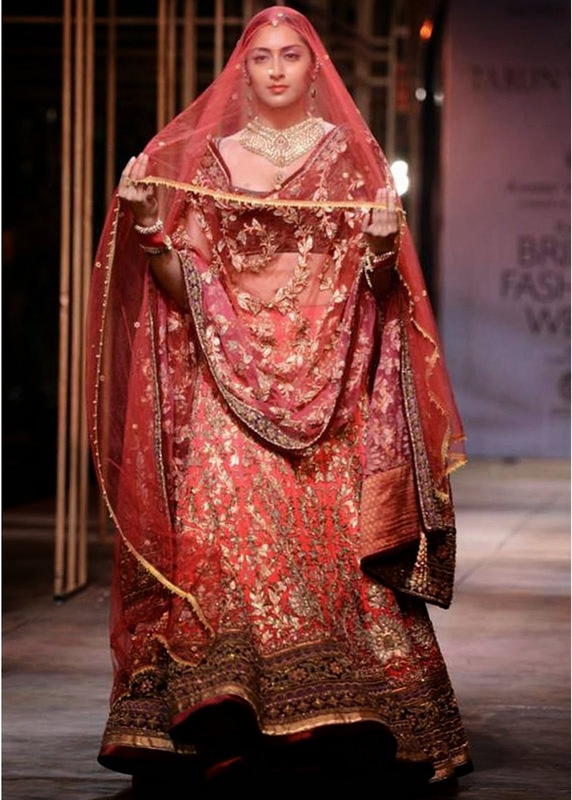 Drape it around the neck, covering the front torso portion, and take the second dupatta around the head. Seedha Palla Drape– Do you love the traditional seedha palla style drapes. Well choose this style then, the technique is age old and traditional. Drape the dupatta like how we drape a seedha palla saree and take the other dupatta over the head. 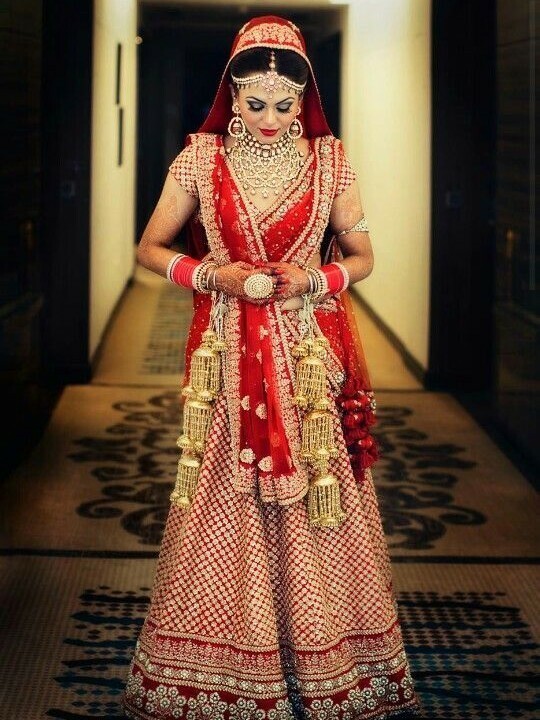 The side drape– If you want your designer blouses to be more visible, and that they should not be covered entirely by the dupatta, then go in for this style. 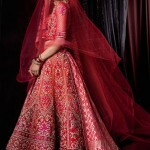 Nicely pleat the dupatta and tuck it at the shoulder, it will nicely fall both the sides. Now cover the head with the other lighter dupatta. The criss cross style– This is just like a normal saree like style drape, just that the last dupatta falling freely at the back is again brought at the front and tucked at the opposite shoulder to form a X sort of pattern, and the remaining fabric is left the front. Wear the other dupatta simply tucked at the head.